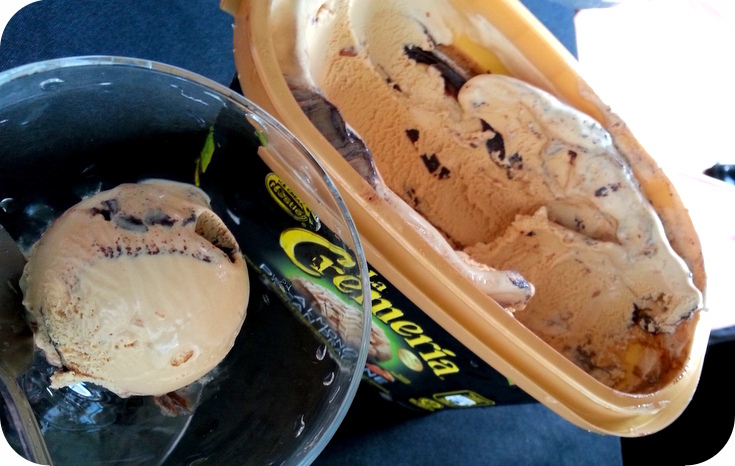 This September is going to be a great month to indulge in ice-creams! You know why? Well, because I managed to sneak into Nestle's hut and be one of the first few to test on the newly-improved, extra creamy ice cream, which is going to be launched in September! ...introducing to you the latest Nestle La Cremeria 1.2litre tub range, now available in a creamier texture that gives a better icy, melt-in-the-mouth sensation. The packaging now comes in a stronger and tigher tub cap lock, ensuring freshness of the ice cream for a more satisfying moment of indulgence. Good stuff are meant to be shared, as we indulge in the varieties of ice cream during family TV time, parties and special occasions. But I definitely won't do that because it's so yummy that I can't help but to finish one whole tub all by myself! La Cremeria knows what we need at home. A long day should be rewarded with a satisfying cup of ice cream, that's why they have the top two bestselling variants in individual 100ml serving cup. 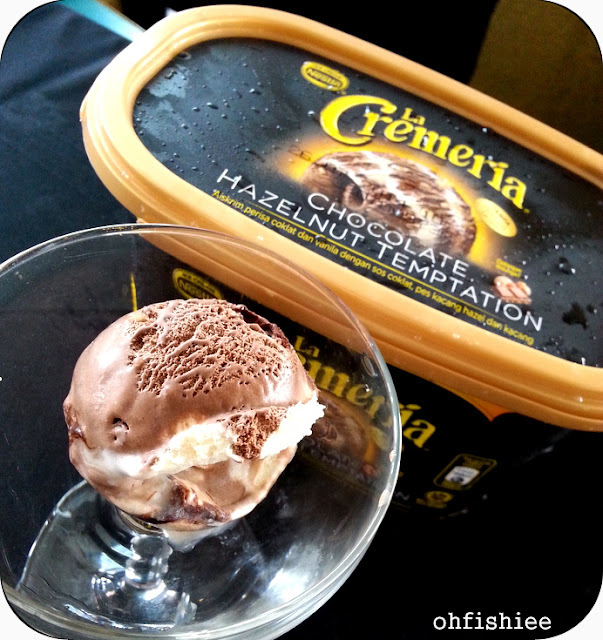 #5 Relaunching the Nestle La Cremeria range! As much as I love Milo by Nestle, I am also a great fan of Nestle drumstick ice cream since childhood. 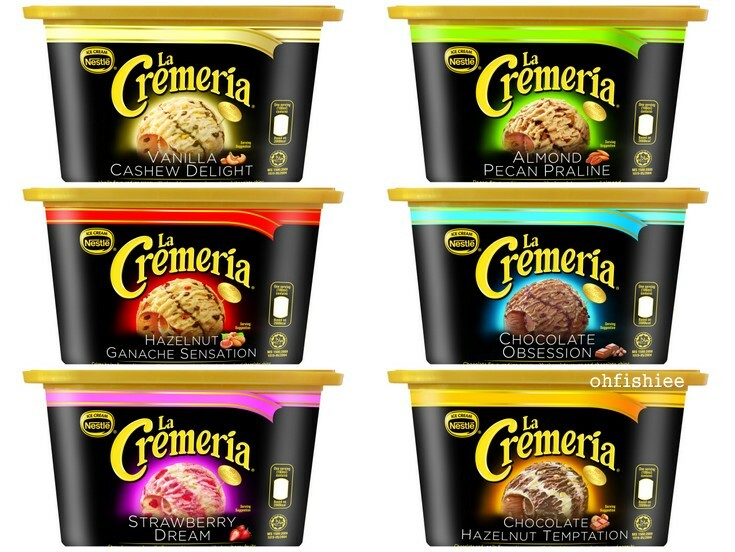 With La Cremeria, now I have more choices of flavours to indulge in! 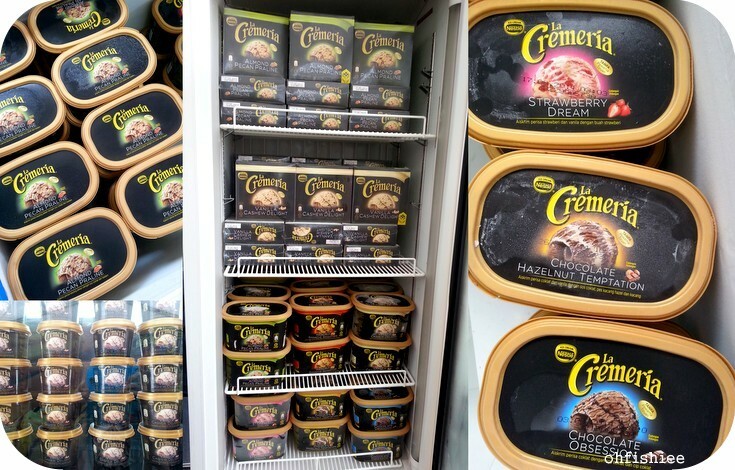 The latest Nestle La Cremeria is now available at major supermarkets, hypermarkets and selected convenient stores nationwide. The models of the day were dressed in bright, colorful outfits, portraying the fun and happiness that La Cremeria brings to the consumers. 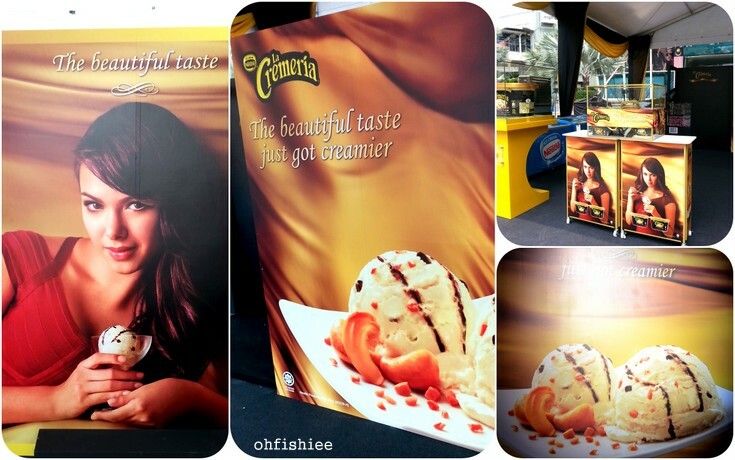 The fashion show was followed by a product tasting session, where we were blessed with unlimited scoops of La Cremeria ice creams. Almond, pecan and praline are three different types of nuts and instantly become a winning taste, when combined together. The ice cream exudes a beautiful aroma of nuts, without being too cloying for me. What's more is the biting pleasure it gives, because every spoonful contains chunky almonds coated with creamy chocolate sauce. For those who love the natural flavour of milk, you just can't resist the vanilla ice cream loaded with bits of chocolate chips and cashew nuts that keep you craving for more! This is slightly milkier and creamier than what I'd have expected. Another nutty variation has caught my eyes. 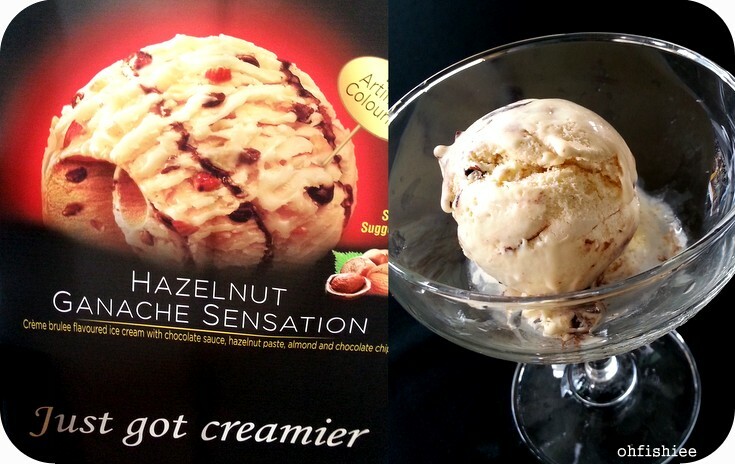 I didn't know there is creme brulee flavoured ice cream until I have my first try on this Hazelnut Ganache Sensation and I am sold! If you can't decide between vanilla and chocolate, why not have a cross of both? The chocolate hazelnut temptation gives a robust aroma of cocoa and vanilla, plus it has lots of crushed peanuts that give a hint of bitterness I enjoy. Calling for strawberry lovers, you wouldn't want to miss this as you can to enjoy bits of real strawberry fruits hidden in the vanilla ice cream. It kinda reminds me of strawberry-flavoured yoghurt, so thick, smooth and creamy. 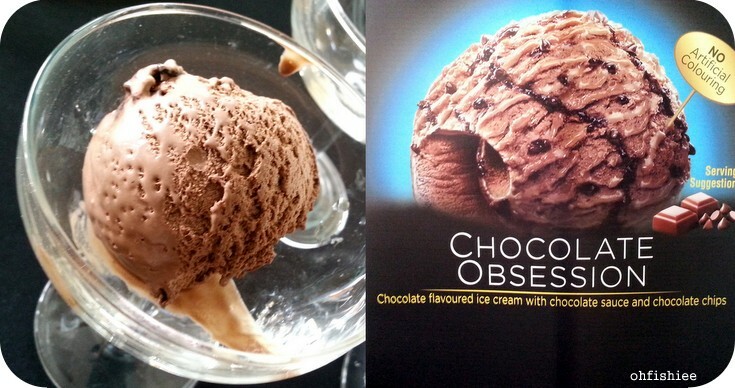 Lastly, the chocolate fanatics would be dying to try this! The triple chocolate combination gives an ultra rich flavour of chocolate, which is probably the best treat for those who have the sweetest tooth ever. 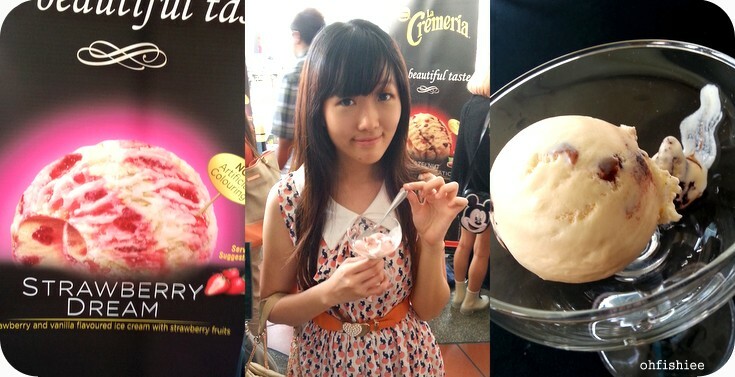 #8 I also met lots of pretty girls who love ice creams like I do! 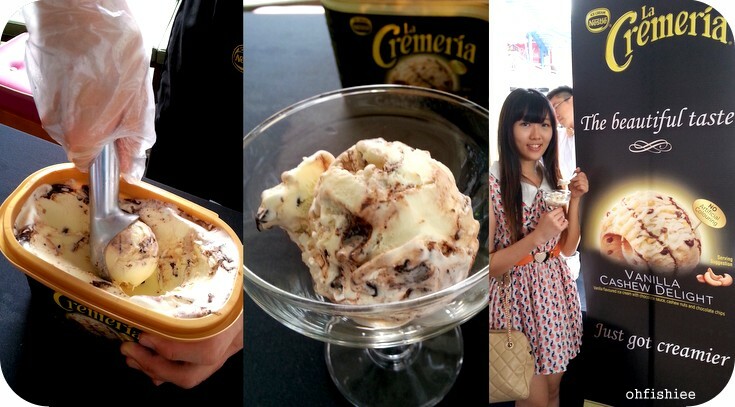 In conjunction with the re-launch, several road shows are held around Malaysia now until November 2013 to give you the opportunity to experience this indulging and satisfying La Cremeria range. There you can also win lots of goodies and enjoy exciting activities during the roadshow! Looking out for the roadshows? 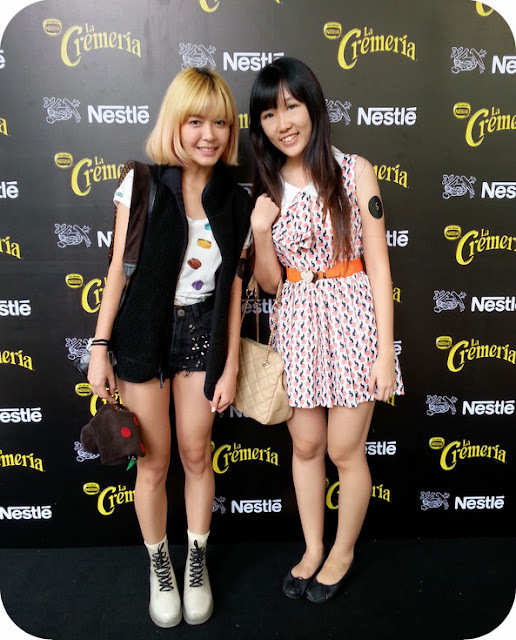 Keep stalking facebook.com/NestleLaCremeria! For every purchase of La Cremeria 2 products in a single receipt, you can own one of these La Cremeria Accessories Bag (Silver / Gold). 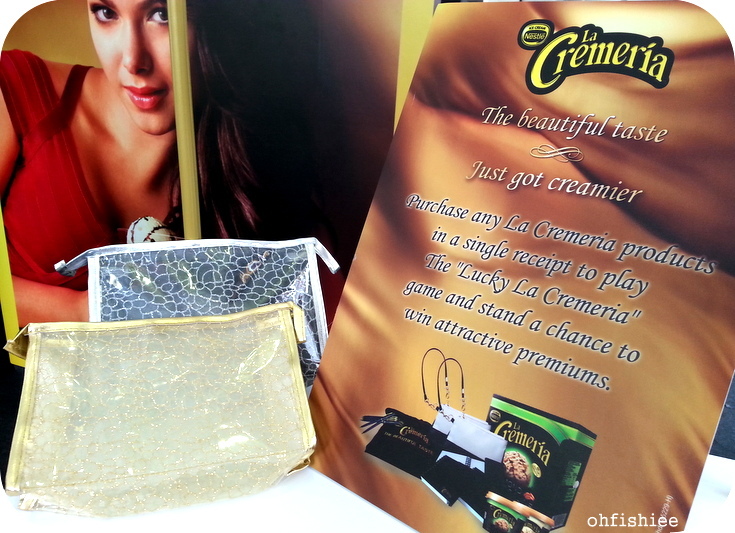 Don't forget to join the "Lucky La Cremeria" game and win La Cremeria merchandises! please call Nestlé at 1-800-88-3433 between 9am and 5pm from Mondays to Fridays. oh ice-cream really hard to resist. I love chocolate flavour. I bought the hazelnut chocolate. Delicious!